I am absolutely delighted with the news that Victoria College Belfast have been selected for such a prestigious award. It is a testament to the hard work and support of everyone involved, from those at CAP, in particular, LaVa co-ordinator at CAP Jan Carson and Dr Ross Thompson, the teacher overseeing the project within Victoria College. Both are experienced writers and educators and their support helped enormously in planning and delivering the workshops. During the project the girls learned how to use a personal item or ‘totem’ to create authenticity in their writing and how to use these emotions to inspire something based in fiction for a group piece. After this we looked at how to edit and improve our work and then how to best bring out our intentions through performance. It was wonderful to see the girls (who had all chosen to be part of the project and the signup sheet was oversubscribed!) use the opportunity to grow in confidence and develop new skills, from shyness in warm up games or reading aloud to the class to fearlessly using chorus techniques to perform original work, some even deciding to experiment with beat boxing and rap! 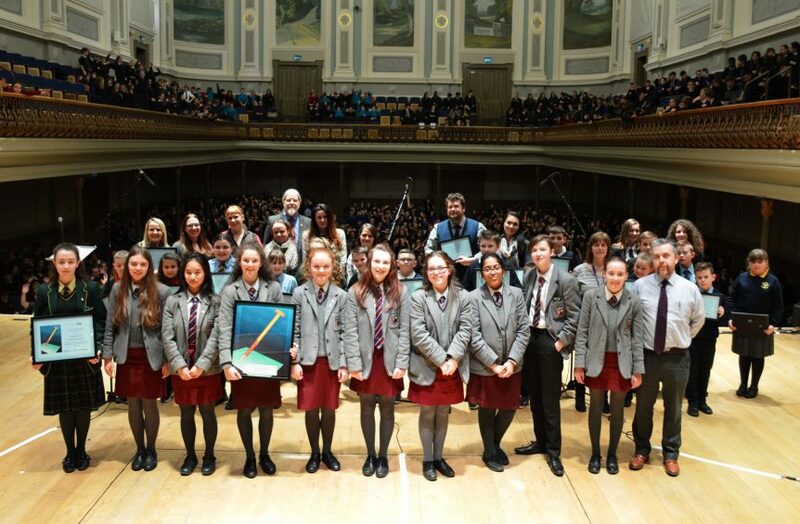 The opportunity to see their work in print, be recorded by a professional technician and perform to other schools in the illustrious Ulster Hall really motivated the group to give each workshop their best. I am confident this achievement will continue to inspire the girls to keep writing and develop their unique voices in the years that follow.